Let’s get one thing straight from the outset — I don’t give a crap that he became a communist. Some people (thousands of people, in fact) seem to reduce this man, who happens to be one of the 20th century’s great artists, to that one aspect of his work. No doubt, he himself, would have it that way. I, however I have always been inspired by the young Brecht, Brecht the poet, the anarchistic Brecht of the teens and twenties, a creature of the cabarets, inspired by Frank Wedekind (of the Lulu plays), Charlie Chaplin, and music hall clown Karl Valentin, Brecht the boxing fan, Anglophile, and advocate of spass (or fun) in the theatre. (I mention Brecht in this context in No Applause). 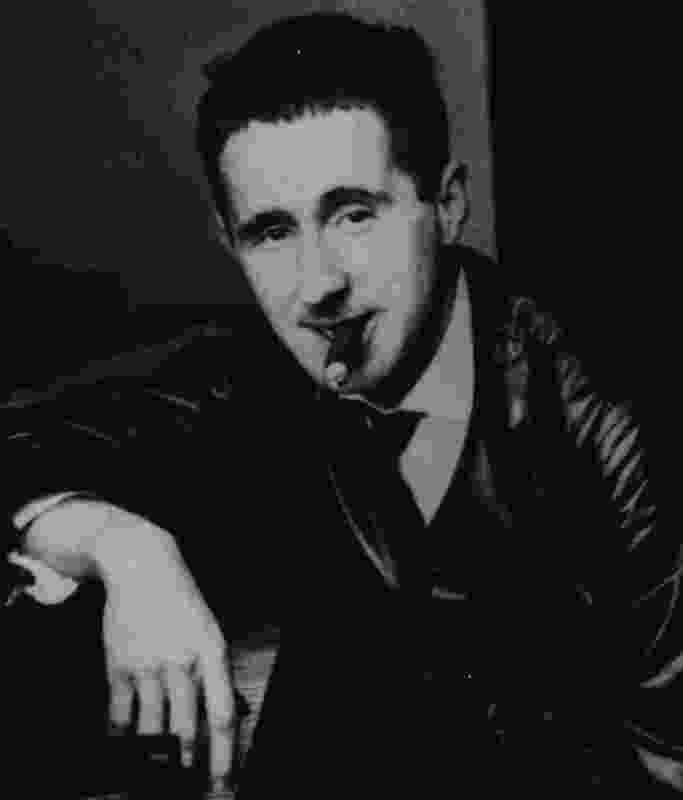 I was so obsessed with young Brecht in my early 20s that I took to covertly smoking cigars in emulation of him (but I have since learned that affectations work best when someone else actually sees them). Accordingly I know just about all of his plays (and much of his poetry) through St. Joan of the Stockyards (1929) quite thoroughly. After this, for me, his didacticism begins to overwhelm his art. I’ve read them all, but have dipped into most of the later ones only once or twice (as opposed to many times for the older ones) His most grievous idealogical error was in making an equation between Fascism and capitalism. To which I would respond: by the time of Brecht’s death, which German nation looked more like Nazi Germany — East or West? The verdict of history looks pretty clear cut to me. Brecht famously loved to “counter” other writers’ works with his own literary responses, rewriting them in his own versions. It was in this spirit that I wrote Kitsch or Two for the Price of One in 1995 (derived mostly from the failed Brecht play Happy End as well as St. Joan of the Stockyards, in addition to Shakespeare’s Comedy of Errors). Also in 1995 I wrote A Novum Organum for the Theatre , a playful mash-up of Brecht’s Short Organum for the Theatre and Francis Bacon’s Novum Organum Scientarium. It became one of the founding documents of my theatre company Mountebanks.